Over the past few weeks, we’ve heard quite a lot about Huawei’s upcoming flagship device, the Mate 10. The handset is apparently codenamed Marcel and is set to see the light of the day on October 16th. 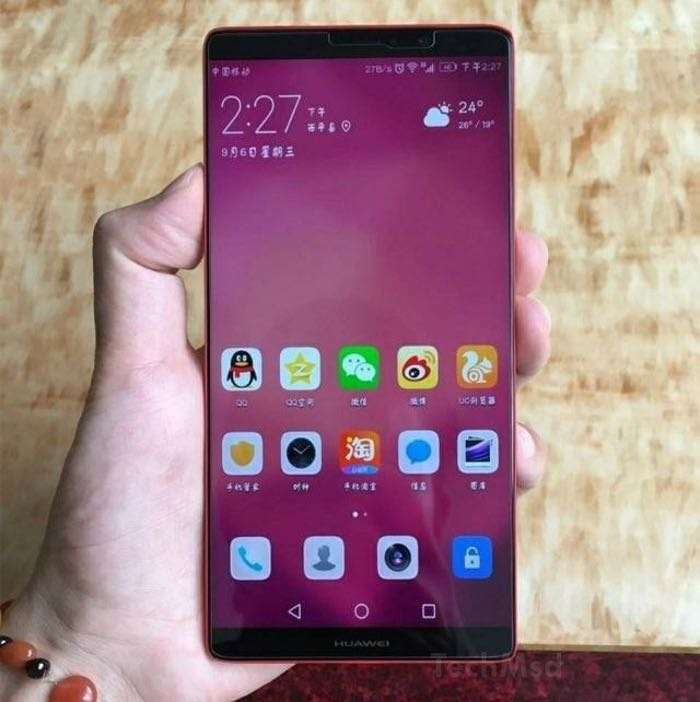 Recently, the alleged Huawei Mate 10 was spotted in a live image, giving us a glimpse of how the handset may look like when it officially launches. The image reveals a big screen device with extremely thin bezels, and best of all, there’s no home button on the device. This isn’t new for Huawei as the previous iteration of the handset had no physical buttons, not even the Mate S which was launched a few years back. Rumors suggests that the device will come with a 6.1-inch display sporting a resolution of 2560 by 1440 pixels resolution, Kirin 970 processor paired with 6GB of RAM and 64GB of internal storage. The handset is expected to come with an edge-to-edge display and may cost over $1000 when it officially launches later this year. Rumors also suggest that there will be a Pro version of the handset as well. The handset will launch on October 16th, stay tuned, we’ll update you as soon as we get any other information.